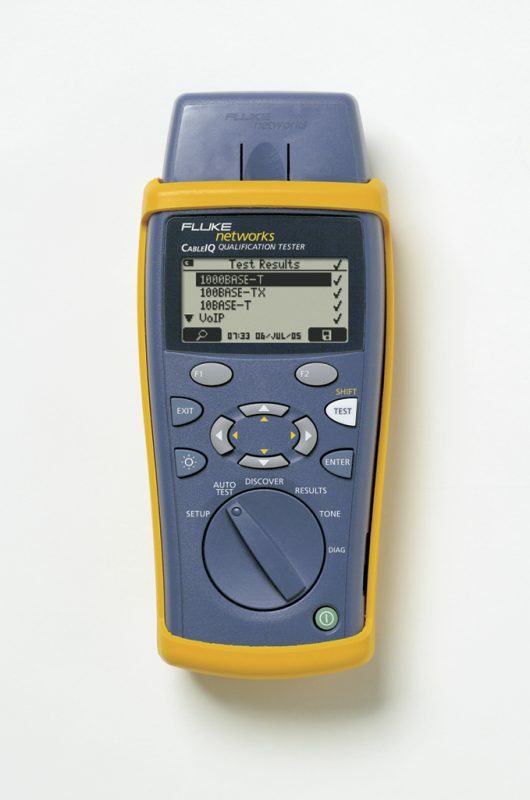 Fluke Networks CableIQ is a qualification tester for troubleshooting and qualifying the cabling speed (10/100/1000/VoIP) of copper network cabling installations. 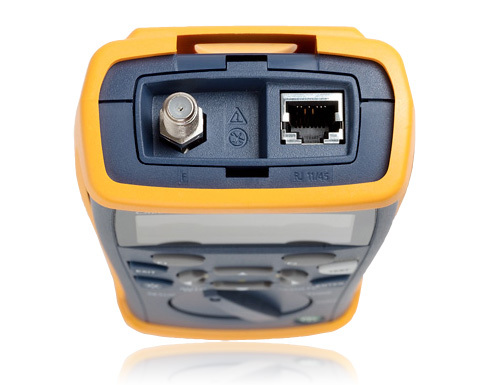 CableIQ is the first cabling bandwidth tester for network technicians. It gives all levels of technicians the vision to see what speeds existing cabling can support, quickly isolate cabling from network problems, and discover what is at the far end of any cable. That means network techs can close trouble tickets faster, reduce on-call time, and save money by better utilizing their existing infrastructure. Are the duplex settings matched? Is it a network problem or a cable problem? Can the cable support the required network bandwidth? 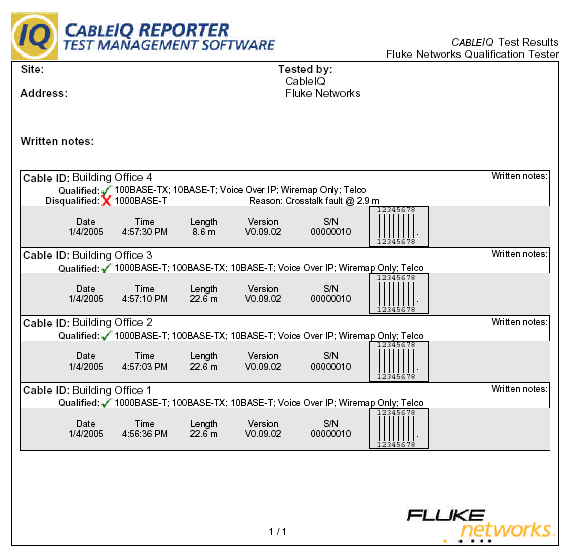 Fluke Networks advise that CableIQ is the only tool that can answer all the above questions before trouble tickets are escalated to the next level reducing problem escalation by up to 30%. 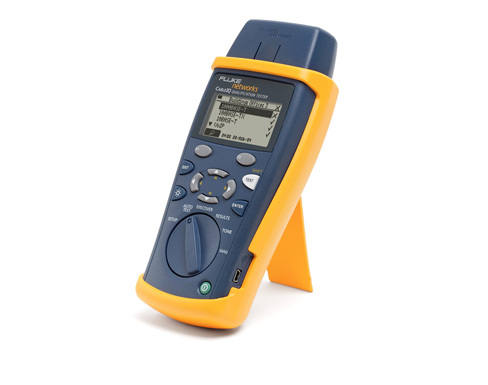 Please note that the CableIQ can not perform certification against the standards such as Cat 6 & Cat6A – for that you will need the DSX-5000 Cable Analyser. Currently we are out of stock, delivery time is 1-2 weeks. 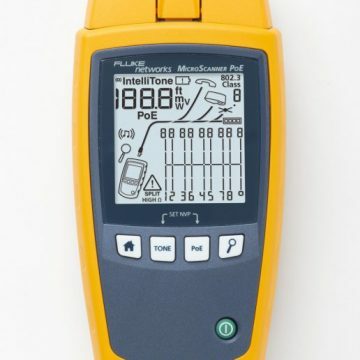 To discuss the product or receive a quotation call us now on 01677 428700 or email info@fullcontrolnetworks.co.uk, alternatively you can see it on Fluke Networks website. Four-second test quickly determines if your existing cabling can support voice/10/100, VoIP or Gigabit Ethernet. Determine why the existing cabling plant cannot support the desired network speed (e.g. connection fault at 7 feet). Discover what is at the far end of any cable, whether it is an open cable, a PC, an analog phone, or switch. Detect speed/duplex mismatches in a matter of seconds. Determine a PC’s duplex settings and compare settings to the connected switch – all from one location. 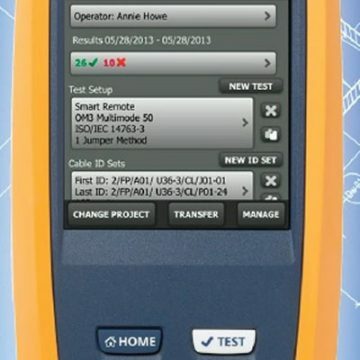 Isolate faults easier with intelligent wiremap. Locate cables and wires with superior accuracy. Breakthrough IntelliTone™ digital signaling technology precisely locates cables in even the most chaotic wiring closet. CableIQ’s powerful troubleshooting capability and intuitive interface enable frontline technicians to identify and troubleshoot a wider range of infrastructure problems. Is the port active? Are the duplex settings matched? Is it a network problem or a cable problem? Can the cable support the required network bandwidth? CableIQ is the only tool that can answer all these questions before trouble tickets are escalated to the next level. CableIQ shows you whether your cabling is qualified to support the network’s required bandwidth, and provides detailed information on the nature and location of cabling performance faults. Intelligent wiremap graphically displays the cable‘s wiring configuration, and shows the distance to opens and shorts. 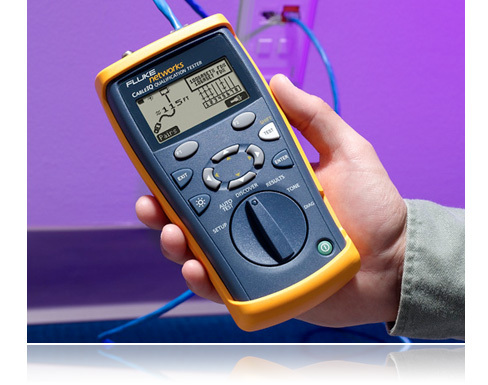 Advanced diagnostics also identifies and locates non-wiremap related connection faults, such as crosstalk or large impedance changes. Built-in IntelliTone digital technology allows you to tone and trace without disconnecting from the network. With CableIQ, your techs can close trouble tickets faster by cutting cable troubleshooting time in half. When you deploy Voice over IP (VoIP) or Gigabit Ethernet, you want to make sure the existing cabling will support the bandwidth requirements of your new equipment. Your cabling was certified, but moves adds and changes have rendered many links incapable of running desired speeds. CableIQ quickly reveals whether a link, including patch cords, is qualified for voice, 10/100BASE-T, VoIP, or Gig. Knowing your cabling‘s bandwidth capabilities before upgrading can prevent countless hours of future downtime and labor hours wasted on unnecessary troubleshooting.